ADDIS ABABA, ETHIOPIA -- Sequestered in a dank prison cell here, Ethiopia's biggest music star awaits trial in a deadly hit-and-run case that has galvanized the nation. 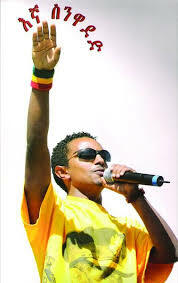 Fans say the singer, also known as Teddy Afro, is being framed because of his music's perceived anti-government message. Teddy's controversial incarceration has spurred small protests, a rarity in this tightly controlled Horn of Africa country, and is fast becoming a national symbol of what some call Ethiopia's latest democratic backsliding.